Ms. Philipson has been caring for children and families since 1979 in a variety of roles and settings. She began her career caring for families in all aspects of pregnancy, labor and delivery. Years later, by way of the special care nursery, she developed an interest in ICU care of children and began work in Pediatric Intensive care in 1986. She came to URMC in 1987 and was the Assistant Nurse Manager of the PICU at Golisano Children's Hospital at Strong for a period of time. She left the intensive care setting for a position as an Asthma Research Nurse while pursuing her Master's degree as a Pediatric Nurse Practitioner and, upon graduation, practiced as a PNP in Pediatric Pulmonary at URMC for 12 years. While there she cared for children with asthma, cystic fibrosis, broncho-pulmonary dysplasia and technology dependent children. Ready for a new challenge, she accepted a position in Child Neurology in 2012 and, since has focused her practice on evaluating and treating children struggling with different types of headache. She is also involved with NYS Newborn Screen evaluations completed through Child Neurology. She works particularly closely with Drs. Stone, Connolly, Tomaselli and provides telephone management of issues that arise between appointments. 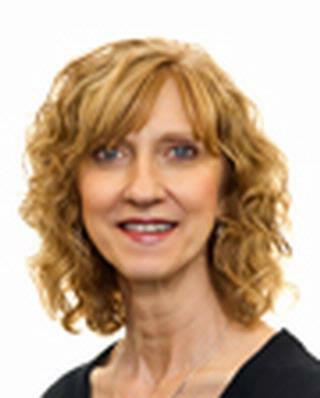 Ms. Philipson is a graduate of University of Rochester School of Nursing, Care of Children and Families program in 1998 and a member on National Association of Pediatric Nurse Practitioners and the Association of Child Neurology Nurses. She is a Clinical Associate at the University of Rochester School of Nursing and commonly acts in the role of preceptor to nurse practitioner students. Over the years she has spoken numerous times on a variety of pulmonary, newborn screening and headache related topics.